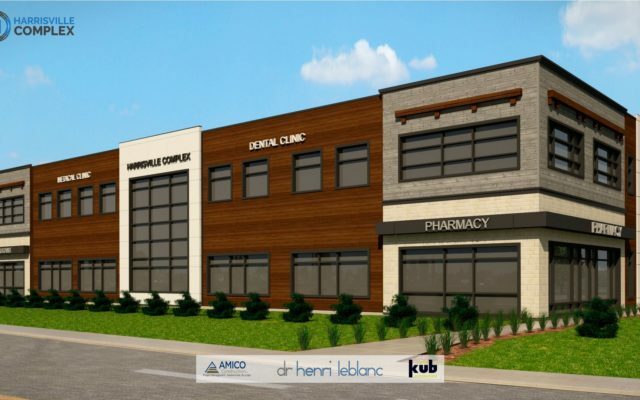 Construction of the Harrisville Complex is now underway at 1121 Shediac Road, Moncton N.B.. 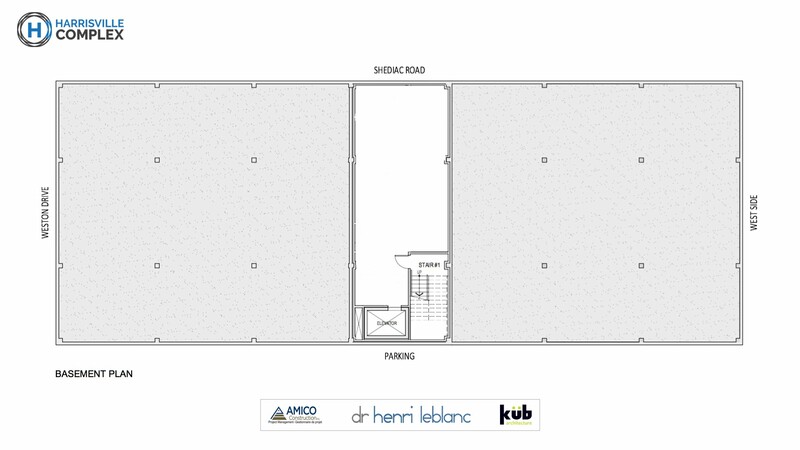 This full steel modern construction property has a projected completion of summer 2019 in its first phase. 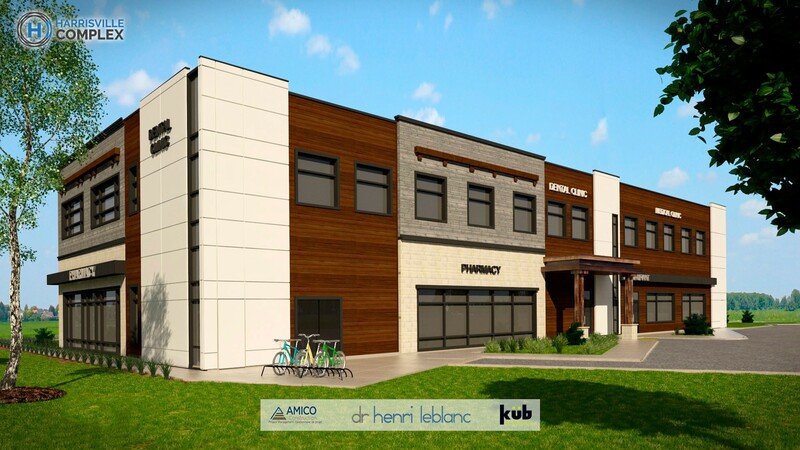 It has potential leasable spaces of 3900 square feet on the second floor and almost 8300 square feet on the street level upon full completion. 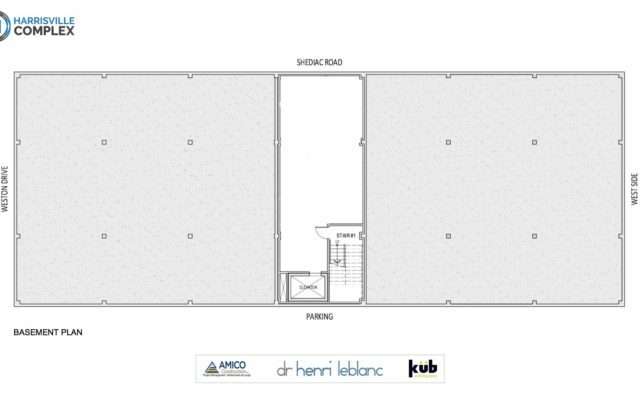 A fully operational elevator will serve the Complex as to allow easy access to the premises on both levels. 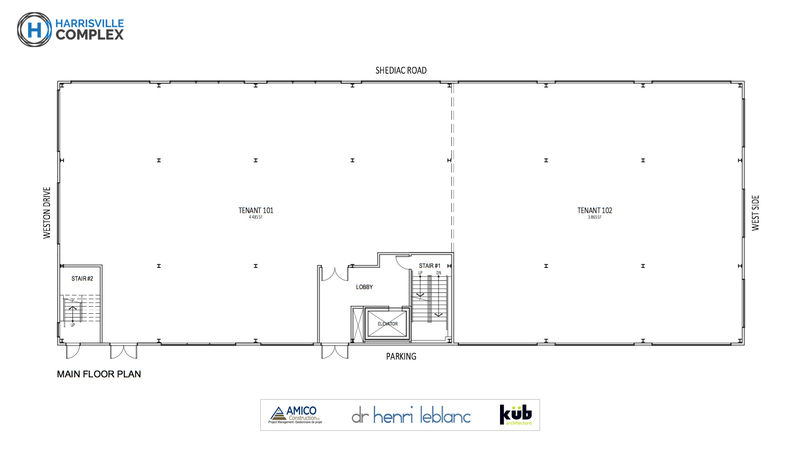 Phase 1 will allow a leasable area of 4500 sf on the street level. Phase 2 will be completed upon clientele interest. 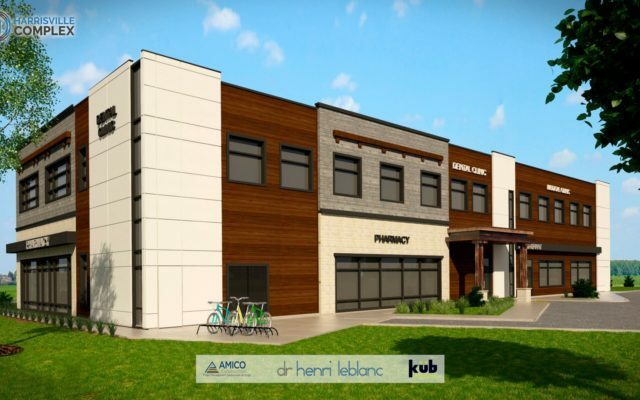 It has a rentable area of 3,900 sf on both the first and second floors, will be built simultaneously with the first phase if prospective tenants require additional space in the Complex. 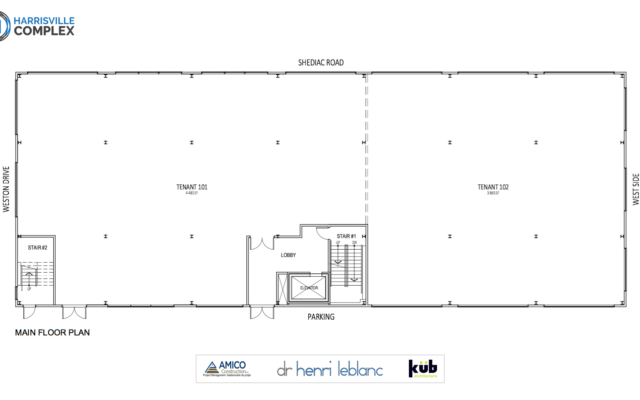 For clients and patients visiting clinics and offices on the second floor, there will be an elevator with easy, street-level access. 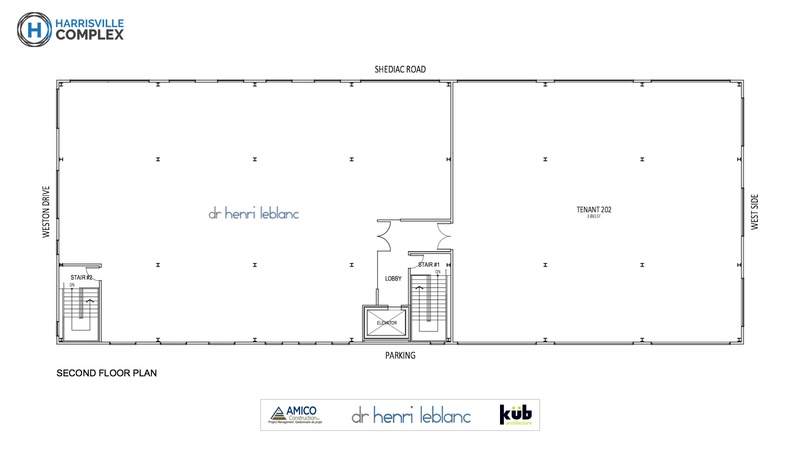 This is an ideal location for all professionals looking for the best visibility and accessibility the Greater Moncton area has to offer and who require premium office space in a modern setting. 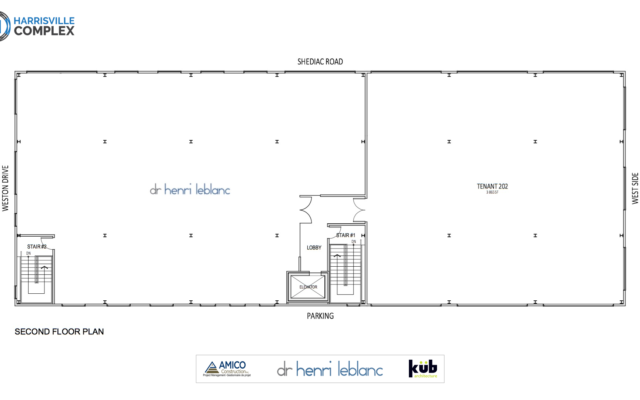 The dental practice of Dr Henri LeBlanc will be occupying the second level of Phase 1. We welcome enquiries from complementary practices in the health and medical fields as well as professionals in different fields. Our goal is to create a “hub of excellence”, a Complex that strives to improve accessibility to professional services in an all-encompassing manner. 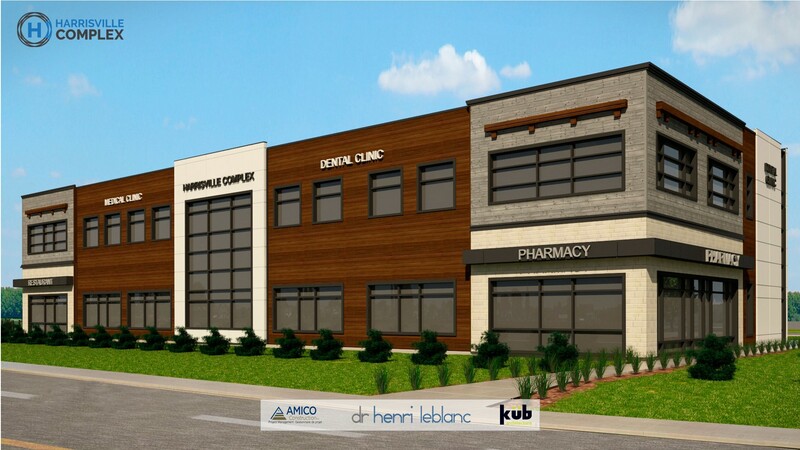 We also welcome retail and commercial businesses that want to grow with us and serve the Greater Moncton community. 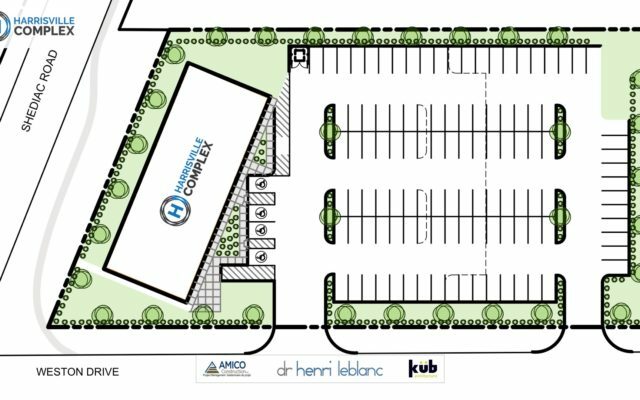 Parking for the Complex will be between 60 and 125 parking spots immediately adjacent to the Complex according to demand. 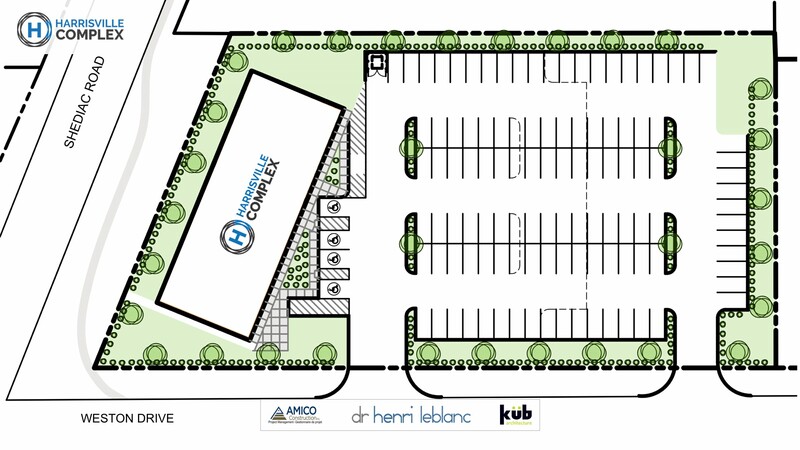 Conveniently located near the intersection of Harrisville Boulevard and Shediac road, the Harrisville Complex is a prime location for entities necessitating ease of access, ample parking and most importantly high visibility. Immediately served by NB highways 2 and 15, the Harrisville Complex allows fast access to and from the coastal regions of southeastern New Brunswick as well as the densely populated Greater Moncton, Dieppe and Riverview areas.